When military contracts started drying up in 2009, Antonio decided it was time to develop his own pursuits in the realm of UAVs—and started his own business, Robota. He began with autopilot development and used it with ready-to-fly airplane kits. This is where a Handibot® Smart Power Tool entered the picture. 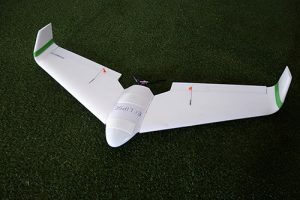 Antonio purchased a Handibot and used it to modify the fuselage of each airplane. He created a jig so that he could move the Handibot along the length of them and make changes better suited to Robota’s needs. But unfortunately, the model of the airplane they were using was discontinued. It was at this point that Robota began designing and producing their own aircraft. 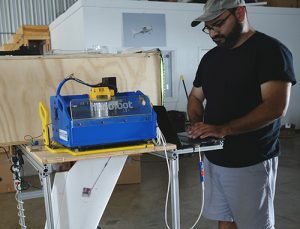 This was also when they made the determination that they were in need of a larger CNC tool so that they had the ability to prototype, build, and customize the components needed to create their UAV, the Eclipse. 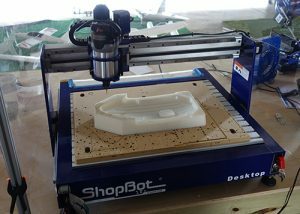 Because Antonio had been happy with the work he had been able to do utilizing the Handibot, he decided to purchase another CNC made by ShopBot – the ShopBot Desktop. The materials they use their ShopBot for vary—from wood to plastics to aluminum to fiberglass. This also includes using it to create the molds for the foam bodies of the aircraft, motor mounts cut from nylon, and trimming out parts after being thermoformed. 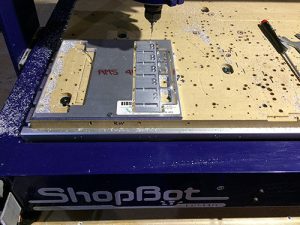 “Whatever we can put on the ShopBot,” Liska says, “we do.” And just because they now have a ShopBot Desktop, that doesn’t mean that the Handibot sits by idly. The portability of the Handibot allows them to place it on top of larger pieces sitting in a jig (like a wing) and carve/engrave directly onto the already fabricated piece. Robota’s UAVs are not hobby drones, they’re intended for use in mapping and survey applications, particularly for large areas. It enables survey professionals, engineering companies, and construction companies to get survey grade precision for imaging (down to a few centimeters accuracy on a map) in large areas without having to walk it in its entirety. This not only saves time, but also keeps people from having to manually survey potentially dangerous terrain. For example, they have customers in Houston currently utilizing Robota drones to assess the storm damage caused by Hurricane Harvey. Because they not only create their own software, but also the majority of the hardware components, they are consistently making updates and improvements as they work. Their ShopBot Desktop assists in this. 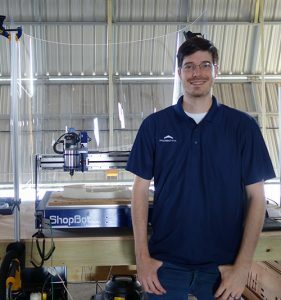 Liska told us, “One of the reasons we have a ShopBot is because we can make changes quickly. We have the tools to make modification to our tools, so that as things change, we can respond pretty quickly.” While they use VCarve for some of their basic 2D work, they use Fusion 360 for the 3D parts. They find that Fusion is the better solution for the CAM (computer aided machining) of what they do with their tools. 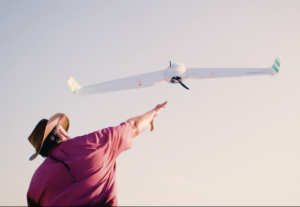 Although there is still a lot of education needed regarding the difference between hobby drones vs. work-based/utilitarian drones, Robota continues their quest in providing real-world solutions for the survey and construction professionals that use UAVs to get their own jobs done with accuracy and efficiency.